WE BUY COPPER, LEAD, BRASS & ALL TYPES OF CABLE CALL 07411995536 : What is the difference between the magnetic properties of 304 and 316 stainless steel? What is the difference between the magnetic properties of 304 and 316 stainless steel? There are several families of stainless steels with different physical properties. The magnetic properties of stainless steel are very dependent on the elements added into the alloy. A basic stainless steel has a ‘ferritic’ structure and is magnetic, formed from the addition of chromium – it can be hardened through the addition of carbon, making it ‘martensitic’. However, the most common stainless steels are ‘austenitic’ – these have a higher chromium content and nickel is also added. It is the nickel which modifies the physical structure of the steel and makes it theoretically non-magnetic. 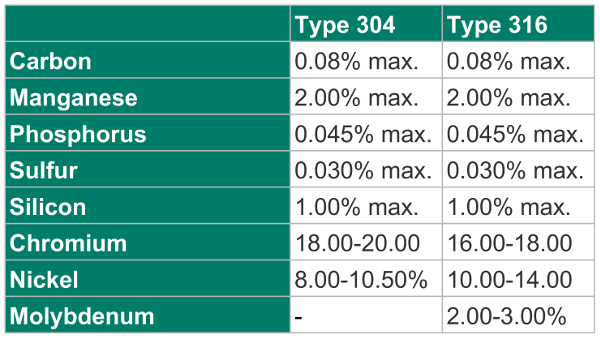 304 stainless steel contains chromium (min. 18%), and nickel (min. 8%). It is an austenite steel and is only slightly responsive to magnetic fields. It also contains 18 – 20% chromium and 8-10.50% nickel, and lesser quantities of some other elements. 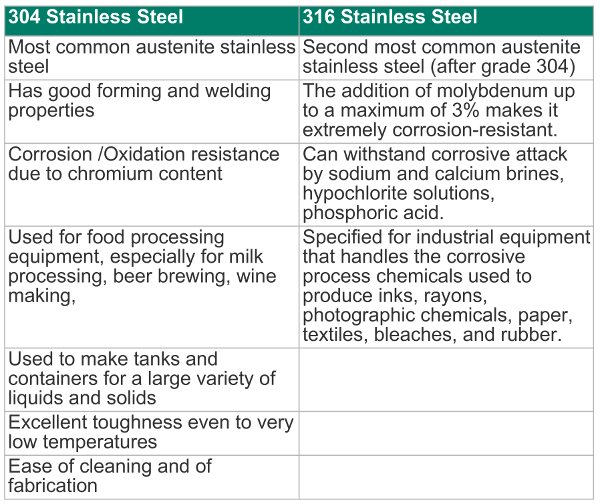 316 stainless steel is a molybdenum-alloyed steel. The fact that it is also negligibly responsive to magnetic fields means that it can be used in applications where a non-magnetic metal is required. It also contains a number of other elements in varying concentrations. As both 316 and 304 stainless steels are austenitic, when they cool, the iron remains in the form of austenite (gamma iron), a phase of iron which is nonmagnetic. The different phases of solid iron correspond to different crystal structures. In other alloys of steel, this high-temperature phase of iron transforms to a magnetic phase when the metal cools. The presence of nickel in the stainless steel alloys stabilizes austenite against this phase transition as the alloy cools to room temperature. This corresponds to a somewhat larger magnetic susceptibility than we might expect for other nonmagnetic materials, but is still well below what might be considered magnetic. However, this does not mean that you should expect to measure such a low susceptibility on any item of 304 or 316 stainless steel that you encounter. 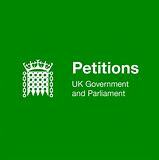 Any process which can change the crystal structure of stainless steel can cause austenite to be converted to the ferromagnetic martensite or ferrite forms of iron. These processes include cold working and welding. It is also possible for austenite to spontaneously convert to martensite at low temperatures. To complicate matters further, the magnetic properties of these alloys depend on the alloy composition. Within the allowed ranges of variation of Ni and Cr, significant differences in magnetic properties may be observed for a given alloy. Both 304 and 316 stainless steel possess paramagnetic characteristics. As a result of these properties small particles (approx 0.1-3mm dia sphere for example) can be attracted to powerful magnetic separators positioned in the product stream. Depending upon their weight and specifically their weight ratio to magnetic attraction, these small particles will be held to the magnets during the production process. These can then be removed during the magnet cleaning operation. From our experience 304SS small particles are more likely to be held in the flow than 316 SS particles due to its slightly more magnetic nature. Labels: What is the difference between the magnetic properties of 304 and 316 stainless steel?